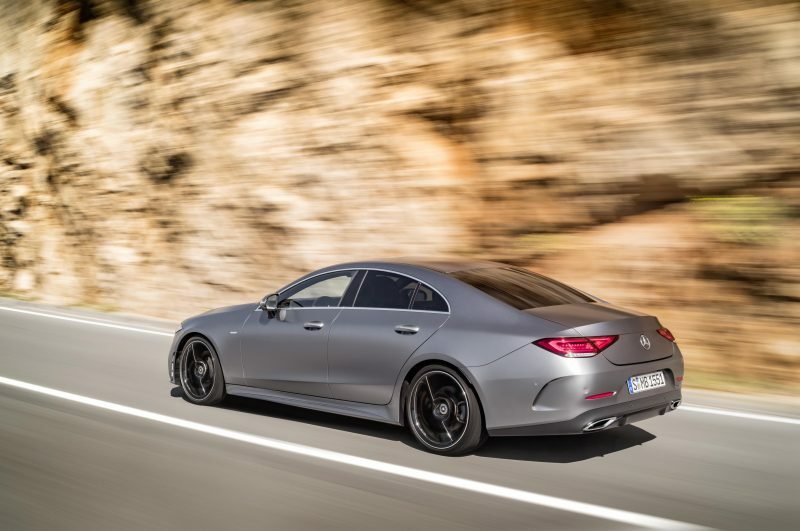 Today marks the reveal of the third generation of the new Mercedes CLS Coupé at the LA Auto Show. It has a sharp new face, reduced lines as well as new tech and new engines. Available as of March next year with prices yet to be announced, what can the new car offer? The new model looks rather sharp, even though I personally don’t much care for the front headlights. 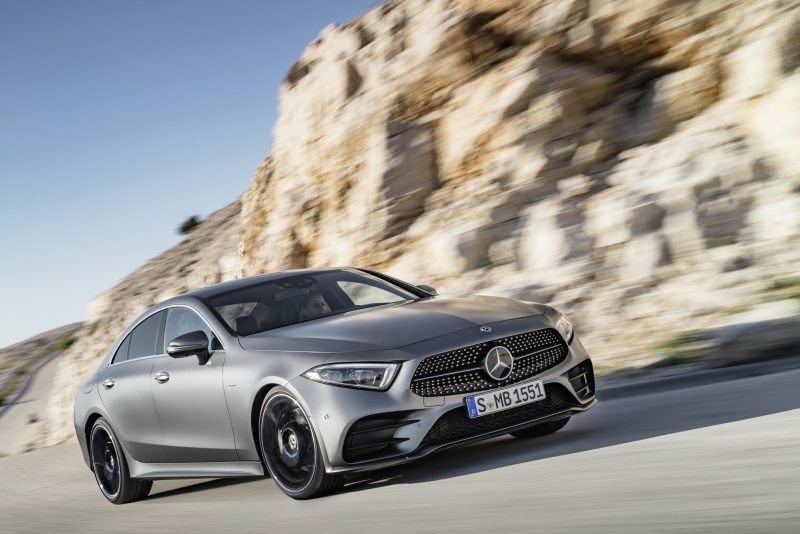 The rest of the car looks rather splendid though, with a front grille inspired by the AMG GT, and a body that has reduced lines compared to its predecessors. 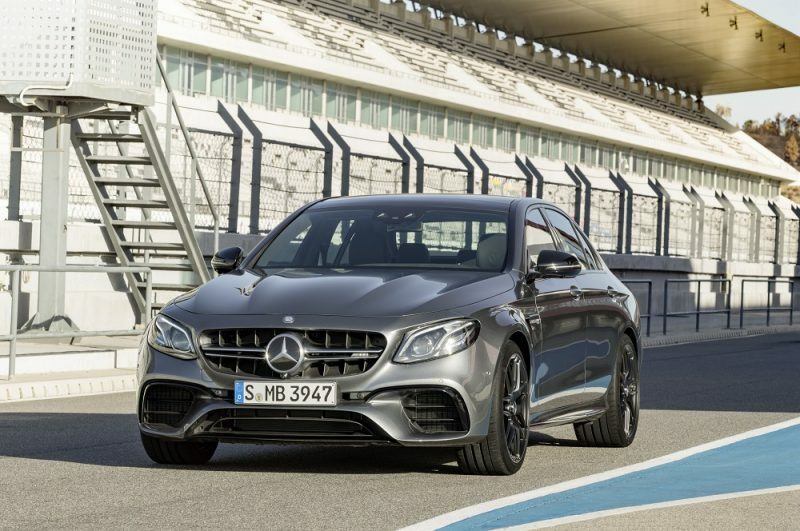 Instead, Mercedes has greeted the new CLS with surfaces that are “generously arched” according to the German brand. At the back there are two section LED rear lights with Edgelight backlighting – same as the front lights – which have been positioned low to make the car look wider. 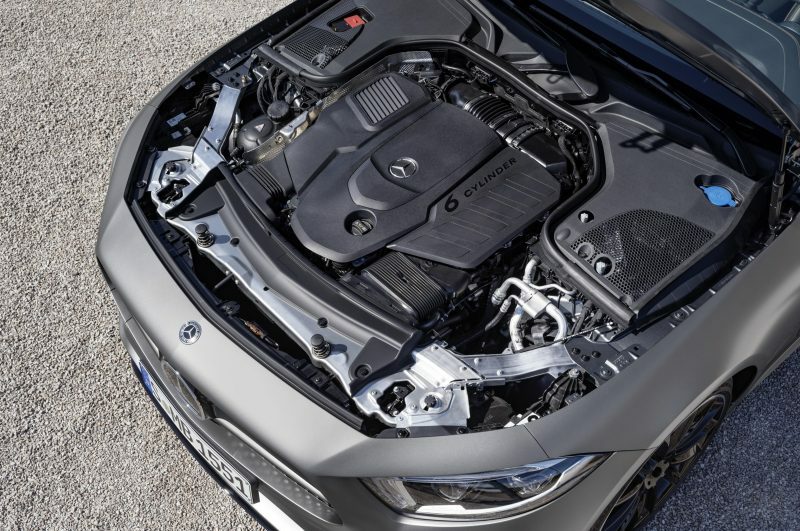 The car will be launched with a choice of three six-cylinder engines; a 3.0 litre diesel that offers either 282bhp or 335bhp, and a 3.0 litre petrol that offers 362bhp. However, that’s not the full story when it comes to the petrol, as that has electricity to help it on its way – yes, it’s hybrid. The 48-volt system adds an extra 22bhp as well as an extra 250Nm of torque, so that brings the total power output to 384bhp with 750Nm of torque. The EQ Boost system as it’s known, is only available for short periods, but it will provide an extra punch when needed. 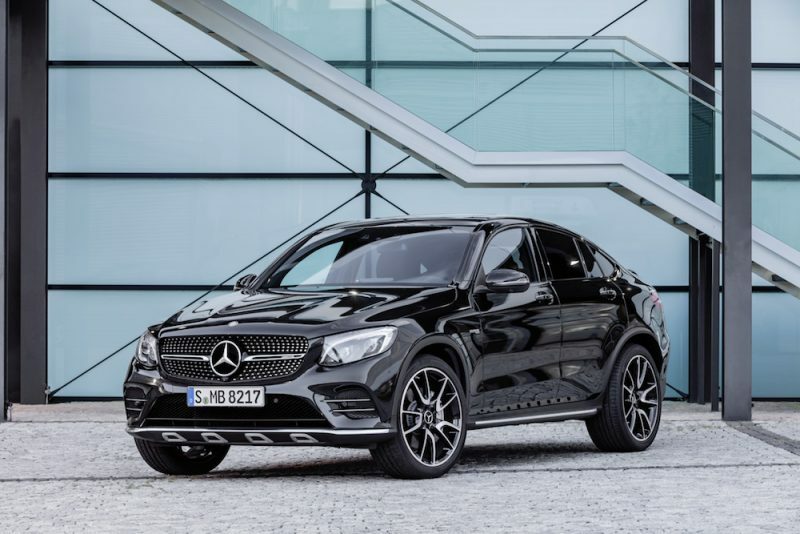 These engines are mated to Mercedes’ 4MATIC all-wheel drive system via a nine-speed 9G-Tronic automatic gearbox. Later down the line there will be four cylinder engines available in the range, which will also offer petrol and diesel choices. For the time being, those looking for economy should opt for the 282bhp 3.0 litre diesel which offers 50.4mpg, whereas those looking for power, should of course opt for the 3.0 litre petrol as that will hit 62mph in 4.8 seconds. 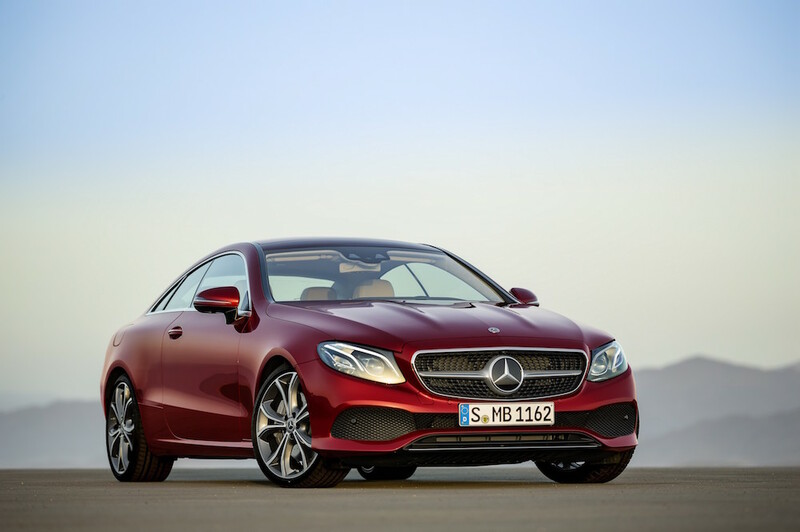 As you would expect from a German Coupé, there is a good amount of tech and comfort on offer. As well as offering no less than 64 ambient lighting, which can glow either red or blue briefly dependent on whether the climate control has been turned up or down, the cabin features seats that have been exclusively designed for the third generation. Speaking of seats, for the first time there are five seats as opposed to four. The car comes as standard with a dynamically set-up steel comfort suspension, but there is also a choice of either four-link front with five-link rear setup, or the air body control air suspension. This offers an improved, adjustable and adaptive damping system, which can be changed to meet the driver’s tastes. 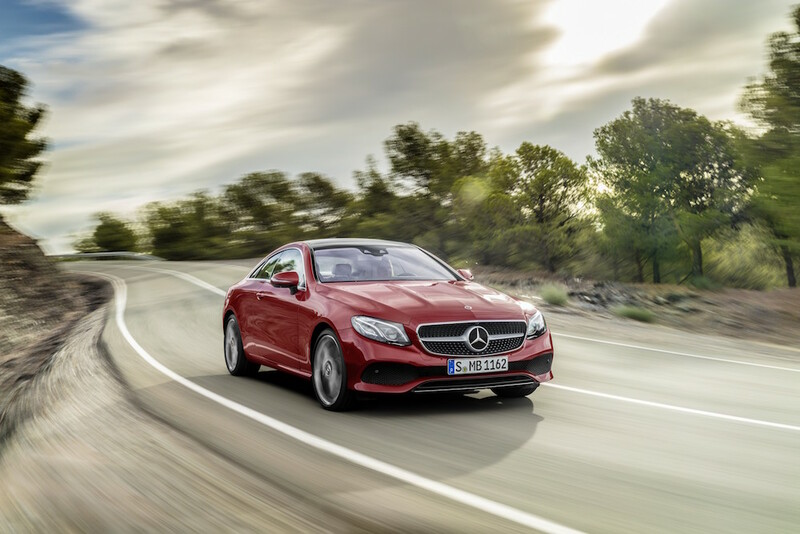 The comfort does not stop there though, the new CLS also offers something called ENERGISING comfort control as an optional extra. This offers six programmes: freshness, warmth, vitality, joy, comfort and training. If you’re scratching your head, wondering what on earth what this all means, let me explain. 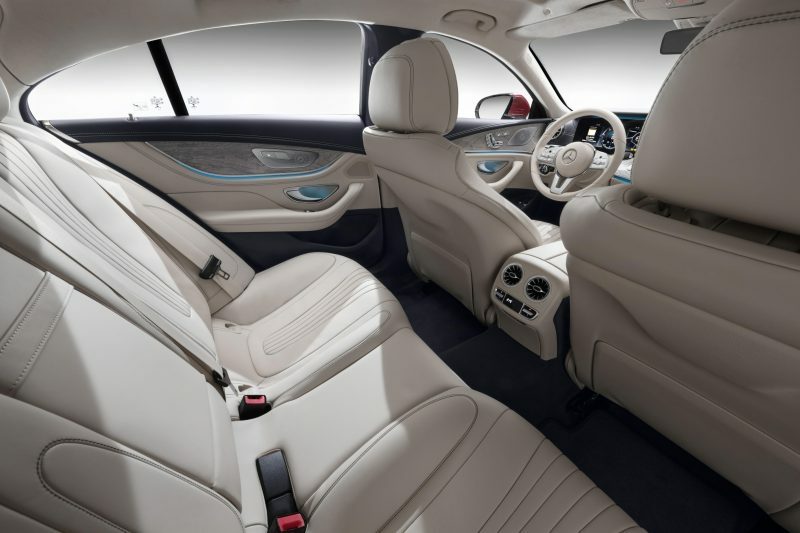 The system uses the climate control, mood lighting, heated seats, and even the musical atmosphere, to make the driving senesation is as comfortable as possible. Personally, I think this could be a bit gimmicky, but maybe the proof is in the pudding. In regard to tech, the car will come fitted with a 12.3″ touchscreen, but you can have the optional Widescreen Cockpit is available, which gives you not one, but two 12.3″ touchscreens, which looks slick, but it would be nice if the unit itself was incorporated in to the dash a little better. The cockpit will offer various modes though, and can be viewed in three different styles – classic, sport and progressive. 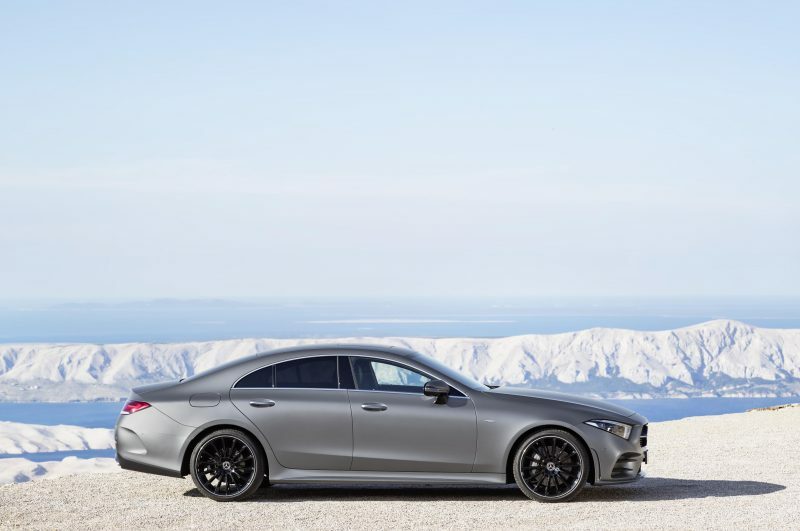 The camera and radar system required for the safety features has been improved too, meaning that the new CLS has a better view of the area surrounding it. 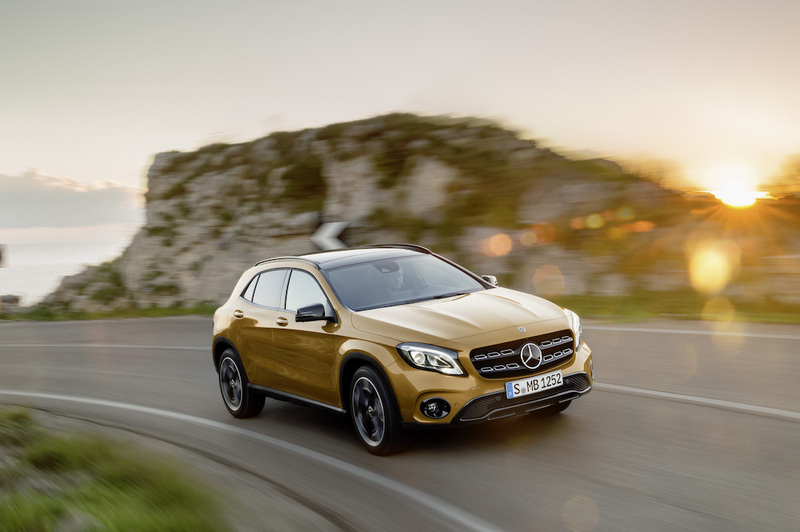 Standard features include lane keep assist, active brake assist and speed limit assist. If that isn’t enough though, there is an optional Driving Assistance Plus Package, which adds features such as blind spot assist, active steering assist and active distance control to name a few. 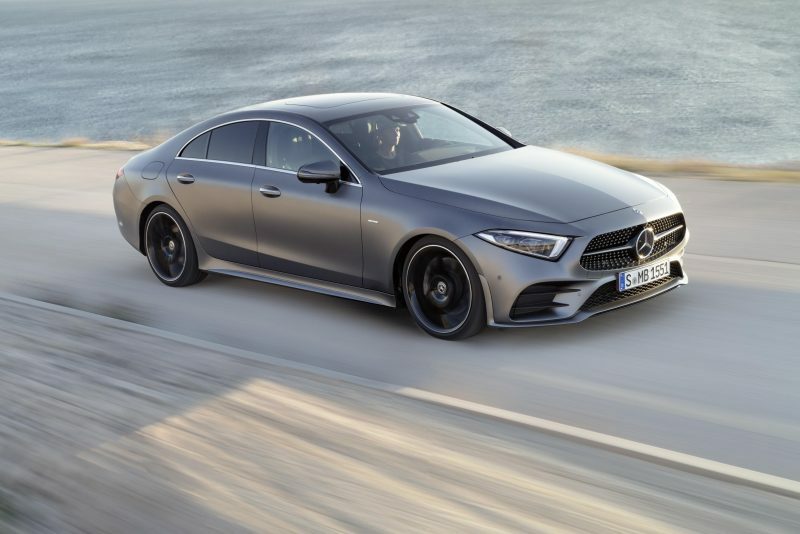 The new Mercedes CLS will be available as of March 2018, with prices and specification yet to be announced.